Located in Paris City Centre, this luxury palace is within a 5-minute walk of Rue de Rivoli, Tuileries Garden, and Place Vendome. Champs-Elysees and Place de la Concorde are also within 10 minutes. Tuileries Station and Concorde Station are within a 5-minute walk. 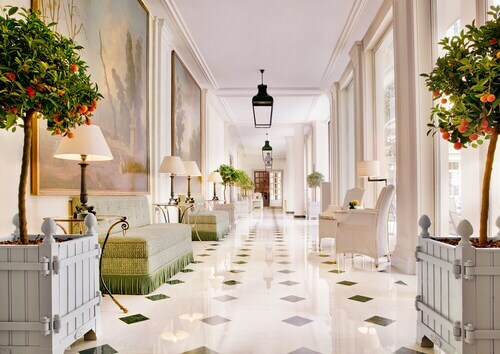 Located in Paris City Centre, this luxury palace is within a 10-minute walk of Avenue Montaigne and Champs-Elysees. Grand Palais and Lido are also within 15 minutes. Alma-Marceau Station is 5 minutes by foot and Franklin D. Roosevelt Metro Station is 6 minutes. This luxurious Paris palace hotel has a typical white-stone façade with wrought iron balconies, and is situated within a few steps of Place Vendôme and Place de l'Opéra. This family-friendly Paris palace is located in the historical district, within a 15-minute walk of Place du Trocadero, Eiffel Tower, and Champ de Mars. Champs-Elysees and Lido are also within 1 mi (2 km). Iena Station is only a 2-minute walk and Alma-Marceau Station is 9 minutes. Located in the heart of Paris, this family-friendly palace is steps from Elysee Palace, Avenue Montaigne, and Rue du Faubourg Saint-Honore. Champs-Elysees and Grand Palais are also within 10 minutes. 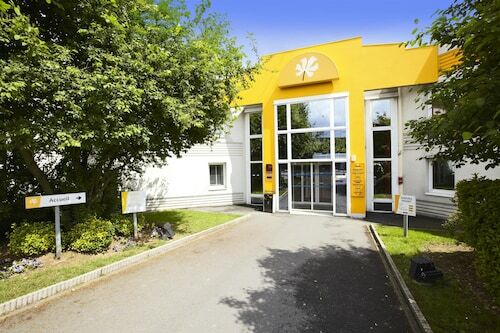 Miromesnil Station is only a 4-minute walk and Saint-Philippe du Roule Station is 5 minutes. 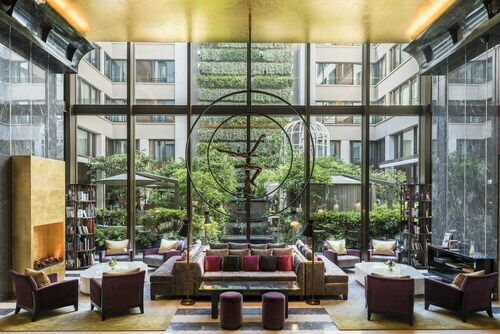 Renowned for its superb service, the Mandarin Oriental, Paris offers a prestigious location on rue Saint-Honoré, steps from exclusive fashion houses. The Louvre and Musee d'Orsay are within a 12-minute stroll. A lively and elegant artistic residence designed by Philippe Starck in the heart of Paris. 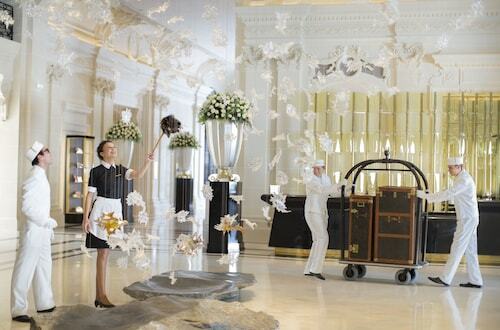 With the hallmark luxury Raffles service, the hotel is 400 meters (a quarter-mile) from the Arc de Triomphe. Whether you’re all about the edgiest high fashion, coolest sneakers, or the latest gotta-have-it handbag, one thing people who know you would never call you is “subtle.” You like to go all out, and there’s nothing wrong with that, especially on holiday. Isn’t a getaway the one time in your life that’s all about you? 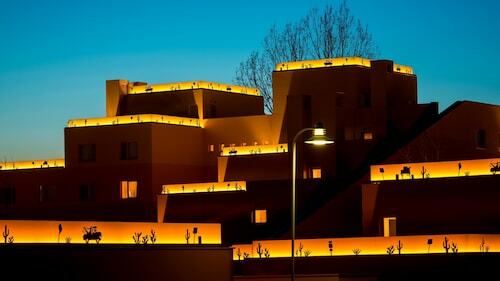 We think you deserve accommodation that matches your mindset: fancy and lavish, but always unique. 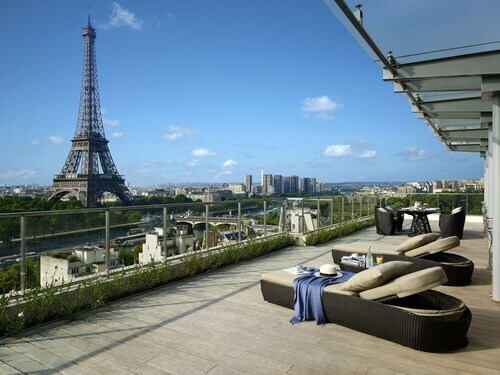 In short, you deserve Paris palace hotels. We know you like the finer things in life, so you’ll be glad to know that you’ll find luxury in pretty much every Paris palace. These were the homes of royalty, after all. Just walking in the door will make you feel like Queen Elizabeth at the coronation, and wait ‘til you get to your room. These suites would impress even the pickiest of princes—in fact, a prince might have actually lived in them. 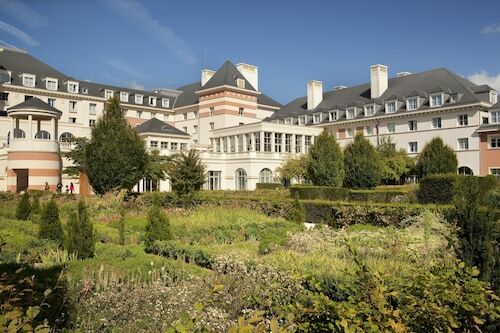 On this holiday, though, you’re the prince (or princess), and your Paris palace resort is your playground. You could spend all day strolling through the gardens, if that’s your thing, or you could get out and explore. You know you’ve got the cosiest bed to return to. If you’ve reached a point in your life where you’re considering staying in a palace on your next holiday, congratulations! You’ve definitely arrived. And soon enough, you’ll arrive at your Paris palace accommodation, with your entourage in tow and tiara firmly in place, of course. But first, you need to book it, and Wotif can help. Check out our awesome deals on palace hotels and get the ball rolling on your regal holiday.